IRCTC (Indian Railway Catering and Tourism Corporation), a subsidiary of Indian Railways, launches official app for Windows Phone and Windows 8/RT devices. IRCTC app for Windows Phone compatible with Windows Phone 7.5 and Windows Phone 8. 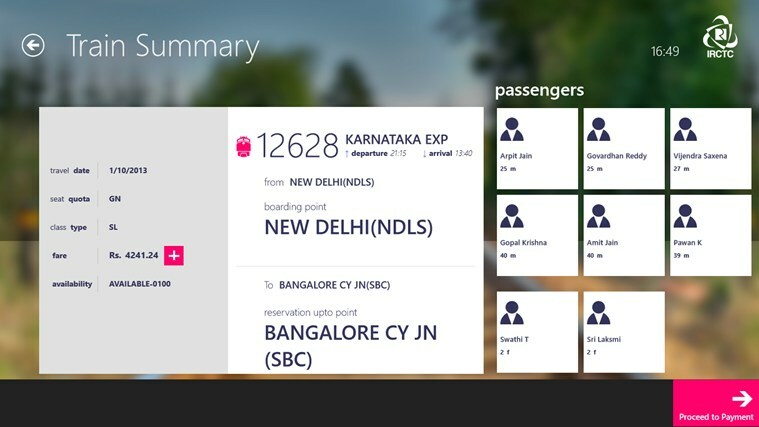 Windows version of the IRCTC app requires Windows 8 or Windows RT. ﻿IRCTC app for Windows Phone provides booking facility of Railway tickets online and offers other services like checking reservation status, train schedules, train routes, availability of tickets, cancellation, booking history, recent history, favourites, add passengers as contacts and roaming the transactions between multiple devices. 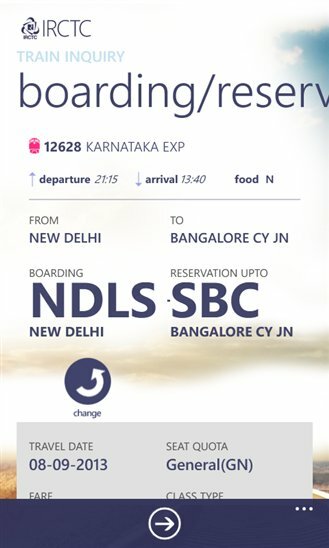 IRCTC app for Windows 8/RT provides PNR Status enquiry, Cancellation, Booking History, Frequent Passenger Info, Quick Booking, Favourites, Recent History and Live Notifications. Hey, IRCTC have launched its official app for all railway travelers to book tickets with more ease. Anyone can easily book online train tickets by doing Irctc Log in. The post contains different nice point from which I was completely unaware from. Irctc launch great app to book tickets and get more about How to Book Tatkal Ticket by this link. Great post, thanks for sharing about IRCTC Apps, as its lets me to check my train PNR Status easily in my windows phone.